Other Names: Palmito Hill Location: Cameron County Campaign: Expedition from Brazos Santiago (1865) Date(s): May 12-13, 1865 Principal Commanders: Col. The Battle of Palmito Ranch, also known as the Battle of Palmito Hill and the Battle of Palmeto Ranch, was fought on May 12 – May 13, 1865, during the American Civil War. In the kaleidoscope of events following the surrender of Robert E. Lee's army on April 9, Palmito Ranch was nearly ignored. It was the last major clash of arms in the war. Early in 1865, both sides in Texas made a gentlemen's agreement that there was no point to further hostilities. By that time, most Union troops had pulled out from Texas for campaigns to the east, such as the Red River Campaign. The Confederates sought to protect their remaining ports for cotton sales to Europe, as well as importation of supplies. Mexicans tended to side with the Confederates due to a lucrative smuggling trade. Why the battle happened remains something of a mystery. Some have suggested that the Union commander, Colonel Theodore H. Barrett of the 62nd U.S.C.T., desired "a little battlefield glory before the war ended altogether." Others suggested that Barrett needed horses for the dismounted cavalry in his command and for other purposes. On May 12, Barrett instructed Lt. Col. David Branson of the 34th Indiana Infantry to attack the Confederate encampment at Brazos Santiago Depot near Fort Brown outside Brownsville, commanded by Confederate Major John "Rip" Ford. Union forces marched upriver from Brazos Santiago to attack the Confederate encampment and were at first successful, capturing three prisoners and some supplies. During the afternoon, Confederate forces under Captain William N. Robinson counterattacked, driving Branson back to White's Ranch, where the fighting stopped for the night. Both sides sent for reinforcements: Ford arrived with the remainder of his cavalry force (about 300 men), while Barrett came with the 62nd U.S.C.T. and 2nd Texas Cavalry. The next day, Barrett started advancing westward, passing a half mile to the west of Palmito Ranch, with skirmishers from the 34th Indiana deployed in front. Ford attacked Barrett's force as it was skirmishing with an advance Confederate force along the Rio Grande about 4 p.m. Ford sent a couple of companies to attack the Union right flank, sending the remainder of his force into a frontal attack. After some confusion and fierce fighting, the Union forces were routed back towards Boca Chica. Barrett attempted to form a rearguard but Confederate artillery prevented him from rallying a significant force to do so. During the retreat, two companies of the 34th Indiana and the detachment of the 2nd Texas were surrounded in a bend of the Rio Grande and captured nearly en masse. In Barrett's Official report of August 10, 1865 he reported 115 Union casualties, one killed, nine wounded, and 105 captured; Confederate casualties were five or six wounded, with none killed. Like the war's first big battle at First Bull Run, which also yielded little gain for either side, the battle is recorded as a Confederate victory. Texan forces surrendered formally on May 26, 1865; Confederate general Edmund Kirby Smith surrendered his forces in the Trans-Mississippi Department on June 2. 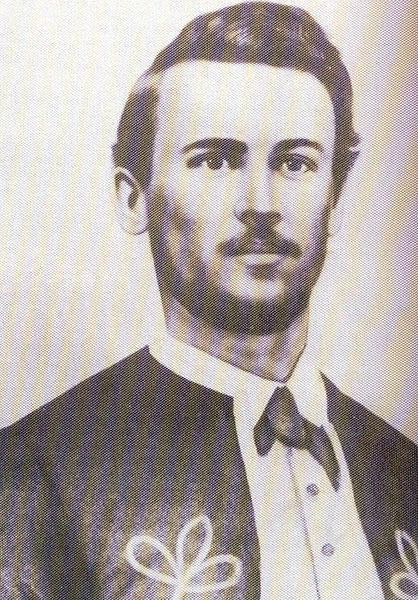 Private John J. Williams of the 34th Indiana Volunteer Infantry was the last person killed during the Battle at Palmito Ranch, and probably the last combat casualty of the war. Fighting in the battle were Caucasian, African, Hispanic and Native American troops. Reports of shots from the Mexican side are unverified, though many witnesses reported shooting from the Mexican shore.